Cancer scientist Cheong Sok Ching’s efforts to understand and eventually eliminate oral cancer are advancing research of the disease not just in Malaysia, but throughout Southeast Asia. In her capacity as a cancer researcher, Ms Cheong also seeks to remove the stigma of cancer and mentor a resilient new generation of cancer scientists. With over 80 per cent of head and neck cancers occurring in Asia, Ms Cheong’s work is extremely relevant. After all, treatment of the big ‘C’ requires a thorough understanding of the different forms of the disease. 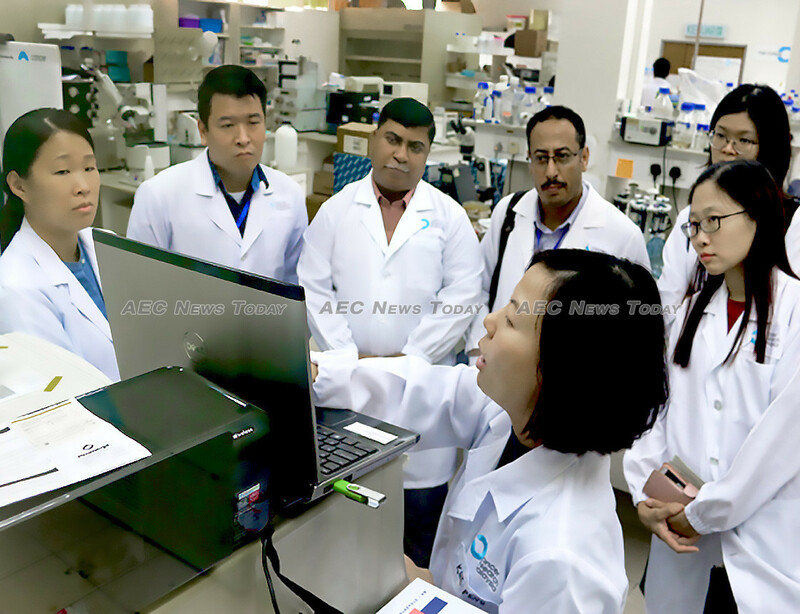 Ms Cheong’s research focuses on both oral and nasopharyngeal cancer, the top two most common types of head and neck cancers in Southeast Asia. In Malaysia head and neck cancer is one of the five most common types of cancers, even among those who do not smoke or drink. Chief of the head and neck cancer research programme at non-profit cancer research laboratory Cancer Research Malaysia (CRM), Ms Cheong is co-chair of the Young Affiliate Network of the World Academy of Sciences (YAN-WAS), an Italy-based global science academy for the advancement of science in developing countries. She is also adjunct professor at the University of Malaya (UM) and honorary member of the Young Scientist Network of the Academy of Sciences Malaysia. Born in Ipoh, Malaysia, the 44-year-old scientist obtained her PhD in biochemistry from the National University of Malaysia (UKM). Ms Cheong is a recipient of several awards, including the Norman-Rowe Educational Trust and the L’Oreal for Women Science Award, which honours women who contribute to scientific progress and helps them pursue their research. She was recognised for her work on establishing laboratory models for oral cancer for understanding of the genetic progression of the disease. Investigating the molecular changes underlying for cancer, she plans to develop markers for early detection and improvement of cancer treatment. For more than a decade, she and her team at CRM have researched cancer immunotherapy, notably a peptide vaccine called PV1 that can boost the immune system to fight head and neck cancer cells. This immunotherapy is currently in preclinical testing. 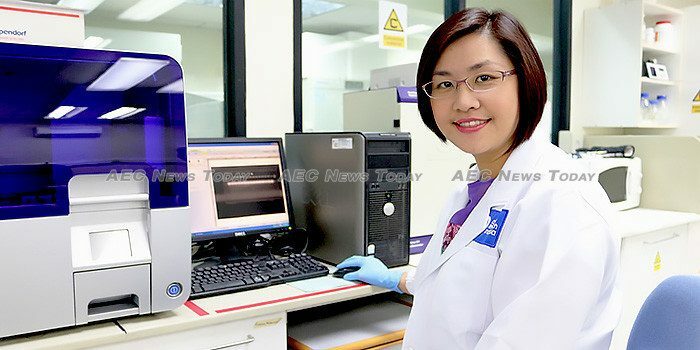 Ms Cheong is also working on improving survival rates, communicating research findings and tackling cancer stigma among the Malaysian public, where one in four is estimated to develop cancer by age 75. 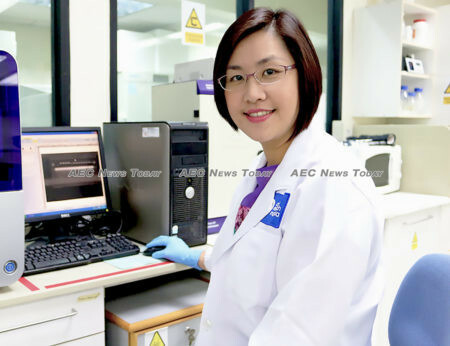 In this interview with SciDev.Net Ms Cheong discusses why scientists should enhance their ecosystem through collaboration, the value and hope in each incremental step of scientific progress, the importance of harnessing local talent, and mentoring future cancer scientists towards nation building. I was able to carry out my research in a very supportive programme environment at UKM. This was… the era of molecular cloning. As students, we were encouraged not only to do research, but also organise conferences. We were given total access to international guests; [that] allowed us to learn through symbiosis. Apart from this, I spent 14 months at the St. Georges Hospital Medical School in London. As a young scientist at both locations I had the freedom to chase my curiosities in internationally competitive environments under the supervision of forward-thinking scientists. But I think this mentorship does not always exist between our senior and young scientists here [in Malaysia]. As a result, young scientists do not get the guidance they need to achieve a sustainable career development plan. How did you go about doing your research, especially in light of the fact that much of cancer research focuses on Caucasians, not Asians? There are about 40 scientists in CRM, and we work in multidisciplinary teams. For oral cancer research, we started working with collaborators from UM. We formed partnerships with ministry of health clinicians, public health personnel, engineers, and Artificial Intelligence (AI) specialists. In 2002, we started cataloguing tissue specimens from patients about to go into surgery to help us understand the biology of cancer. There are now several hundreds of these consented specimens housed in UM. We systematically analyse the databank across many projects for genetic analysis and to find proteins that are unique in cancer cells. With only three fully qualified genetic counsellors in the country, CRM also collaborates with local and international researchers from Australia, Japan, the UK, and the US to find treatments that the Asian population will respond well to. The spirit of cancer research cannot be paralysed by the fear of failure. Instead, we offer due diligence, consistency and small gains of hope. Every step reinforces our belief that we can make a difference, no matter how small. Head and neck cancer is the fourth most common cancer among Malaysians; hopefully, we can come up with a cure and have a cancer-free future. Having said that, the technological advancements over the last few years have been amazing. The immunotherapy research in Malaysia has put us at the forefront. We have made big strides in the scientific understanding of [head and neck cancer]. This year, we are the first Malaysian scientists to take the lab studies of PV1 to be reviewed pre-clinically by the US Food and Drug Administration for its efficacy, toxicity and safety. As a new drug, PV1 may take up to 12 years to move from the pre-clinical stage into the market. Medical research takes time. Communicating this is essential to ensure that the public will be empowered to seek care for cancer in a timely manner, and to get the right information about treatments. CRM does a lot of awareness talks; our message is to cultivate a positive attitude towards prevention and diagnosis. For example, this year, Malaysia’s top badminton star Lee Chong Wei was diagnosed with early stage Nasopharyngeal carcinoma (a type of cancer common among Malaysians of Chinese ancestry). He is undergoing treatment. We want people to stay positive, and to know that there is a high survival rate with early detection for some forms of leukemia, testicular cancer, and breast cancer, among others. We also want to remove the culture of fear and inaction on cancer through innovation. A mobile phone application is being developed by UM and CRM in collaboration with Sarah Barman, director of Research and Enterprise at School of Computer Science and Mathematics, Kingston University, UK, to help with early detection of oral cancer in rural areas. People are concerned about money and funding, but the biggest asset of any scientific organisation is talent. With talent, you can ask impactful questions and have them answered systematically. I am privileged to be able to do what I do. But at the same time, I recognise that certain kinds of equipment and infrastructure are not available in Malaysia. This country doesn’t have a critical mass of researchers and we don’t have enough talent in the pool yet. I want to mentor other scientists to be prepared to work hard, to be driven more by their curiosities (and not merely by grants and research output) and scientific discoveries. It is important that young scientists are able to explore, make mistakes, and want to contribute as much as they can. When they are able to spearhead their career, that conviction and capacity will help build us as a nation. This article was produced by SciDev.Net’s Asia & Pacific desk under a Creative Commons License and is reproduced here with its permission. Our main office and Global edition are based in London but we have a worldwide network of registered users, advisors, consultants and freelance journalists, predominantly from developing countries, who drive our activities and vision.